The season of meetings has been upon us after the festive season. I have been to a few and have learnt some useful facts for those of you who like that sort of thing. The poultry industry occupies 1% of the land area and produces 13.37% of agricultural output. Poultry is responsible for 15% of the ammonia produced by agriculture against dairy 28% and beef 20%. I also learnt a 1% reduction in crude protein in the ration will give an 8% reduction in ammonia, let’s hope we have meat meal back soon, especially as I believe it will help in antibiotic reduction, bird welfare and lower FCR and therefore help us to compete in the brave new world we will live in. As I write the market place seems to be in a bit of a mess for several reasons – firstly the industry re-organising itself after the decision of one major retailer and the demise of one major processor, secondly decisions made in better times are now coming to the market at a time when imports seem to have increased from Brazil, setting a bench mark for price. Brazil has lost and has problems in some key markets like the Middle East which means they have product to dump. There is also a great deal of product coming from Ukraine into Europe through a loophole they are exploiting in the tariff quotas so imports have risen to 150,000 tonnes now from 30,000 tonnes. 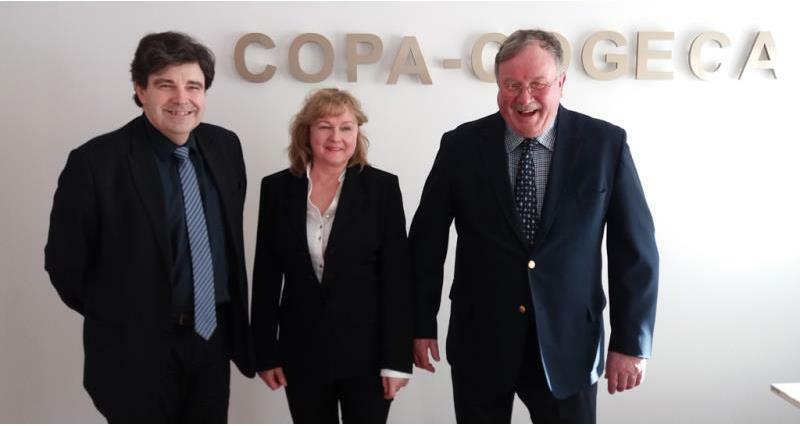 In my capacity with Copa we have been aware of the Ukraine position and have been lobbying the Commission to do something for more than 12 months both on access and welfare standards. At home we are doing everything to save money but trying to make sure we do not become pennywise but pound foolish, which is easily done. So the monitoring of water consumption, temperature, ventilation and daily mortality is becoming an obsession. We are also walking the birds in a different way making sure we walk the walls each morning but not the centres until later so the birds from the walls, which tend to be the smaller pullets, have time to eat and drink. My sheds are only 14 metres wide – traditional old Harlow sheds we completely refurbished 18 crops ago. The refurbishment has helped us achieve a 20% reduction in both LPG and electric use in our first year back in CCL – this goes a little way to repay the loan! We have a fantastic industry that leads the field – let’s keep it that way as the other parts of agriculture through new technologies are trying to catch us up.